Chances are this will happen to you 106 times this year and it typically happens at night; what is it? Chances are you will have a good night’s sleep 106 times this year! 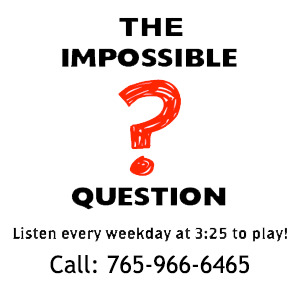 Congratulations to Richard Hart of Rushville, IN for being the first to correctly answer the Impossible Question!